Poetry is supposed to project images in your mind. VisualPoetry translates any text into a series of images by looking up the words on the internet, and projecting the most relevant results as a slide show. 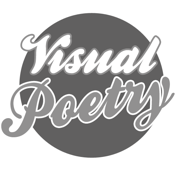 You can use it to view your favourite poem as a series of images from the Internet to amuse yourself or you let other people guess which sentence or poem is displayed. Or you can just marvel at the weird pictures streaming from the Internet to your computer. The original idea is from Douwe Osinga, who made first a web application. If you have any suggestion you want to share, send me an email.